Gilberte Interiors, Inc. A Breathtaking Marriage of Architecture and Design - Gilberte Interiors, Inc. I bought the house with my husband, Neil, in 2001. The opportunity and challenge of taking on the renovations to this Hunter house allowed me to bring my strengths and passion as an interior designer to this aging property. 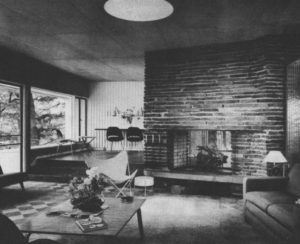 The mid-century “bones” and setting sparked my design sense, and peeling away later additions allowed me to go back to the original roots. 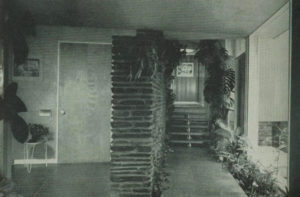 I was able to find original plans, notes, and magazine accounts of the Hunters’ mission in their designs and learned about their use of innovative concepts and materials for their time, such as radiant heat, an open floor plan, a flat roof design, and large glass expanses that blended the exterior with the interior house. The challenge of respecting the integrity of vision while bringing the structure into modern times to be a home for our family of four was the kind of challenge I relish. As a designer, the need to respect the concept and site of a home is always on my mind. Keeping clean, modern spaces that don’t distract from the lines of the architecture and the views is a challenge. Building in spaces for storage and activities was important to achieve this. The existing one-story building had been constructed with a flat concrete roof, enabling us to easily add a second floor and increase the space while continuing to work with the open concept and enjoy the original exterior views. We used the original footprint, but reorganized and moved elements within those parameters. To better serve the new internal flow, the baths are in different places than they originally were and the halls and entrance have been modified to meet more contemporary expectations. And since cooking and entertaining is much more important to our family than it was to the Hunters, we carved out the kitchen space to include a walk-in pantry. Creating a comfortable balance of light, both day and night, took effort, because with so much glass, days can be very bright even near winter solstice, while nights can wrap the rooms with darkness. With so much open space internally and the outside world seemingly close enough to touch, each space needs to work in unison and as a layer. 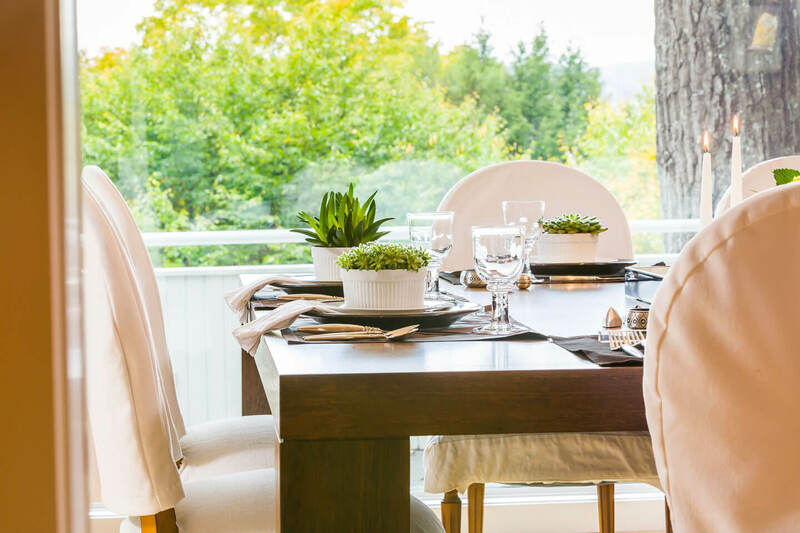 Unlike more traditional homes, where movement from one room to the next should bring you to a distinctly different space, here, each of the spaces needs to interact with and support its neighbors. There are, of course, a few exceptions. Our children’s bedrooms each have their own unique identity. We also installed pocket doors so the dining space can be closed off to create a more intimate atmosphere when desired. The dining table itself embraces the geometric nature of the home—it’s a square that comfortably seats 8 to 12. Visitors to the house frequently remark on the extensive use of white, which is driven by the need for this house to carry the light and airiness created by the architecture. The white lets the natural world outside become an even more dramatic element of the house. Of course, because we live firmly in real world of families, pets, and guests, one of the most important finishing touches is the custom upholstered furniture with slipcovers that allow for easy cleaning and practical maintenance of the white look. In short, after 15 years here, I love the house and love sharing it with family and friends.